To Dog With Love: 5 Reasons Why Travel With Dogs is Best! 5 Reasons Why Travel With Dogs is Best! I love traveling with dogs. At 20 months, Rocco has already traveled with me by plane and by car to Chicago, Las Vegas, Virginia area, Charleston and Savannah, just to name a few. 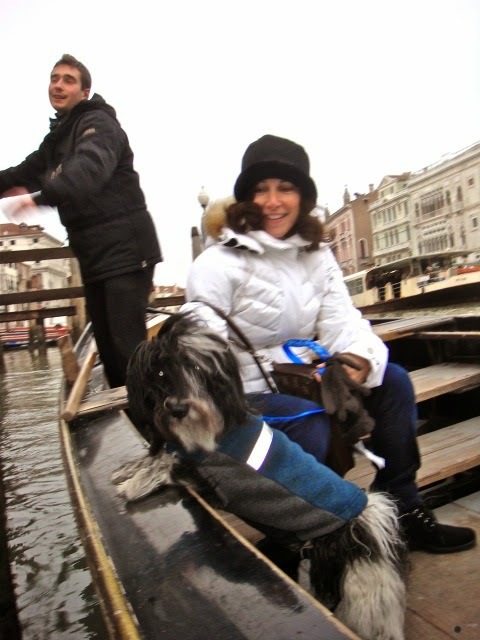 Cosmo and I traveled extensively, and he even got to visit Italy, twice! Why travel with your dog? The folks at Pet 360 bring you lots of great reasons why. And then they asked us to come up with one more! The thing is, we love traveling with dogs so much, we couldn't come up with just one reason. So here are five more great reasons why travel with dogs is best! Dogs get you up and get you going! You can pack lots more into the day when you start early. And besides, dogs always have fun while exploring, and that fun is bound to rub off on you. We've found plenty of dog friendly excursions that are simply better with a dog in tow. 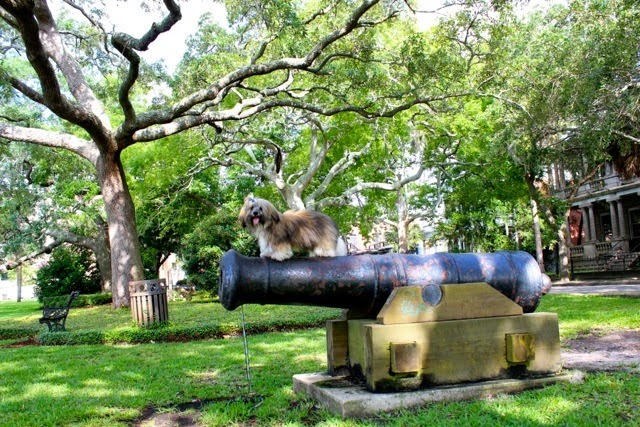 From the Mercury Canine Cruise in Chicago to a stroll through historic, pet friendly Beaufort, S.C., travel with dogs is the best! 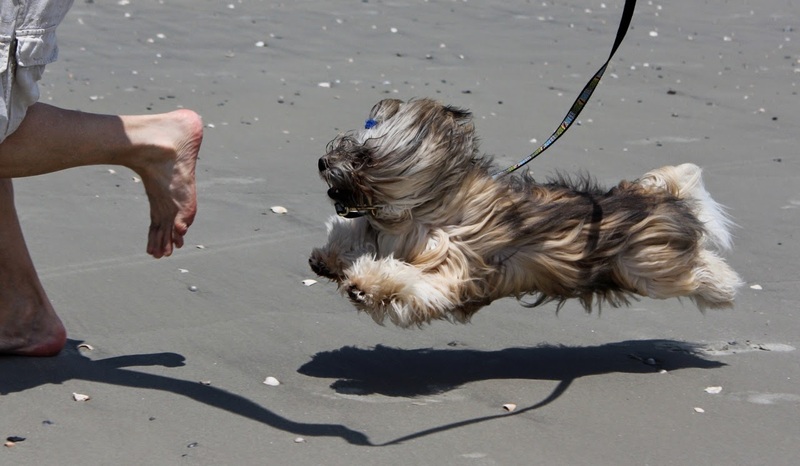 What dog doesn't love to romp on the beach? If you're landlocked, like we are here in Atlanta, take your dog on a beach vacation and you'll both have more fun! Just because you are traveling with a dog, doesn't mean you have to give up a fancy place to stay. 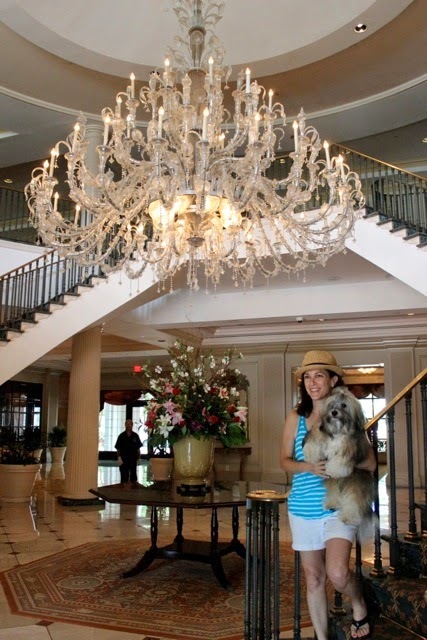 Check in advance, but many luxury hotels -- like the Charleston Place in Charleston, S.C. -- allow dogs. In Italy, you can take your dog with you almost everywhere, including many restaurants. A variety of transportation is also dog friendly. Cosmo had the chance to ride on in a gondola in Venice, on a funicular railway in Capri and on a train from Rome to Milan. Can you find Rocco and his pal Zoe in their travel bags? We've traveled with human friends and their dogs and nothing is better than finding pet friendly activities with like-minded people. 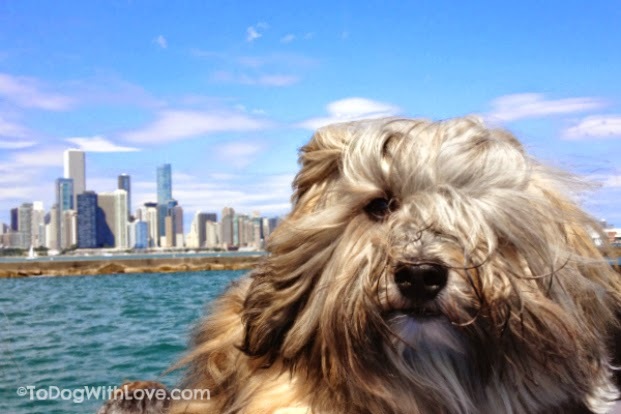 Rocco and his pal Zoe had a special bonding experience when they traveled together to the Havanese National Specialty outside of Chicago last year. Traveling with friends, sometimes means hoping in the car and driving 90-minutes to meet up with pals for some hiking time. We've had lots of fun exploring the north Georgia mountains with dogs and dog friends. last month, we all got to meet up with Emma and Bailie too! And sometimes it means getting on an airplane and traveling as far as Las Vegas to meet up with blogging pals at BlogPaws! If you want more reasons why life with dogs is best, Pet 360 has collected 60 reasons why in five categories -- health, nutrition, travel, fun and adoption. Do you have another reason why travel with dogs is best? This post is written on behalf of the BlogPaws Blogger Network for Pet360. I am being compensated for my time but the thoughts and opinions shared here are my own. Nothing beats being out and about but sadly we have not been able to travel for a long while when we had Ancient Pip but we need to get back in the swing of going places. Have a wonderful Wednesday. Happy Wednesday to you, Molly! Hope you get to go somewhere fun soon! I have considered adopting a smaller dog just so I could travel with my dog! Mine are too big for in cabin flight and I'm not comfortable with "checking" them. Love the photos! I love having a pup I can pick up easily and put in a bag on an airplane! It does make it a lot easier. What fun adventures you have had! We have! Another hike planned for this Friday, weather permitting! Traveling with dogs is the best. We are just sad that is it not always easy in this country. Living in Europe we went everywhere with Mom. Those group walk photos from Vegas are the best! That was so fun! Agreed! We had so much fun going everywhere in Italy. 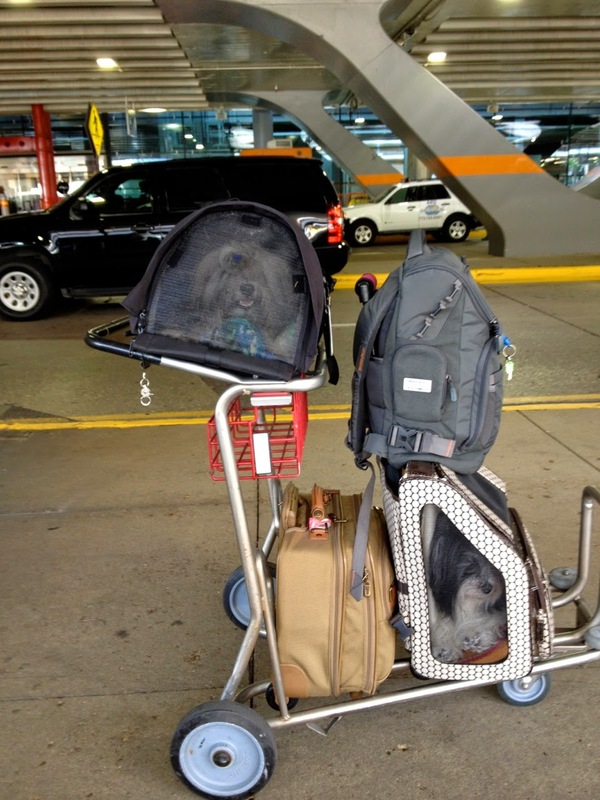 How wonderful that there is such a plethora of dog-friendly travel options available! Rocco is very well traveled and a very lucky pup! He is a lucky pup! And I'm lucky to have him as a traveling partner! We are going to try to get Bentley and Pierre into the traveling mode! Bentley will be riding in the car with us to Nashville next year, so we have to acclimate him to longer road trips. It looks like you have a great time! Yay! 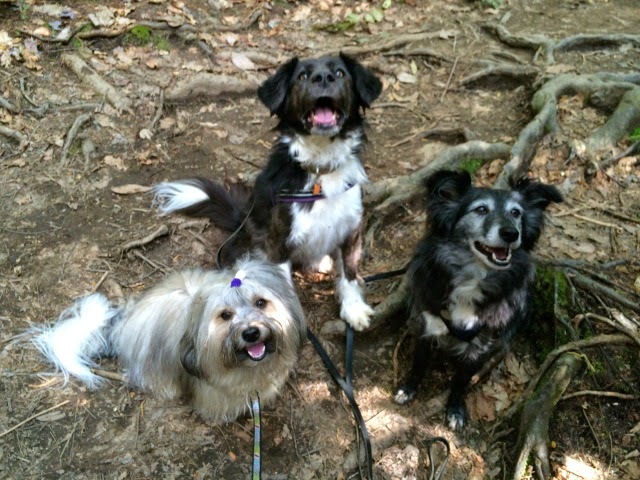 Hopefully we'll see you in Nashville… for Blogpaws, I presume! Rocco's always done well in the car, but he used to squeak a bit when he was a baby. Now he's calm and quiet and just likes to come along! 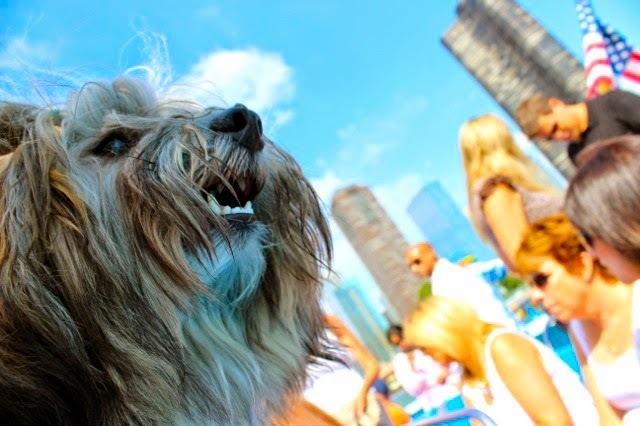 Great reasons for traveling with your dog! I love to travel and had such fun when we visited Atlanta last year for BarkWorld...so much so, I cannot wait for our trip there this year. Dogs make everything in lfe better, don't they? We can't wait to see you again, Oz! hehe! We do like to have our good times! I've never traveled with Pug. I'd love to take him to my favorite city, Chicago, to take his pics at some of my favorite sites! I do plan on doing our first road-trip next year for BlogPaws 2015! Very informative post for those who want to travel with pets! Professionally I am also a tourist but I no experience to travel with a pet but after reading your blog I want to travel with my dog. I want to go Paris with bestbustour in coming vacations. I want to know about some pet friendly hotels there. If you members have any suggestion let me know! With careful planning and the right safety equipment hitting the road with your canine companion can be fun and hassle free.